The match-up between two of the premier heavyweights in the world and fierce rivals Shannon Briggs and Sultan Ibragimov will finally settle their score when they square off for Briggs’ WBO Heavyweight Championship at Boardwalk Hall in Atlantic City, on Saturday, June 2nd. 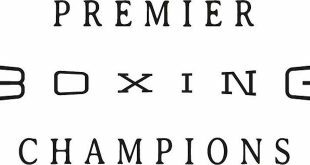 Briggs vs Ibragimov, a 12 round WBO Heavyweight Championship bout, is presented by Seminole Warriors Boxing and Golden Boy Promotions in association with Caesars Atlantic City, Golden Grain, Nafta Moskva, and Main Events. The event will be hosted by Caesars Atlantic City. Tickets, priced at $300, $200, $150, $100 and $50, will go on sale on Monday, April 16th at 3pm and can be purchased at the Boardwalk Hall box office, by calling Ticketmaster at 1-800-736-1420 or by visiting www.ticketmaster.com. Briggs won the WBO heavyweight championship on November 4, 2007 by knocking then-champion Sergei Liakhovich through the ropes and onto the scorers table to score a dramatic 12th-round knockout. Ibragimov skyrocketed through the heavyweight division to become the No. 1 challenger. The bout was originally scheduled to take place on March 10th in New York City, but was postponed when Briggs was stricken with pneumonia. A subsequent negotiation had the fight taking place in Russia, but will now take place Boardwalk Hall. All the while, vicious commentary has taken place between the two combatants. “I’m tired of talking, I just want to go into the ring and take my belt,” said Ibragimov. A 2000 Olympic Silver medalist for Russia, Sultan Ibragimov (20-0-1, 17 KOs) turned pro in the United States in 2002 with a first round knockout of Tracy Williams â€“ in fact, his first four fights ended in opening round victories. He won the WBO Asia-Pacific title in October of 2004 by knocking out Najee Shaheed in the third round, and he defended that crown six times. Among his victims were former world champion Al Cole and contenders Lance Whitaker and Zuri Lawrence. In July of 2006, Ibragimov battled Ray Austin in one of the best heavyweight fights of 2006 and after trading knockdowns with “The Rainman,’ a 12 round draw verdict was rendered, though most observers believed Ibragimov deserved the nod. The WBO seemed to agree as Ibragimov earned the number one spot in the organization and a shot at Briggs. 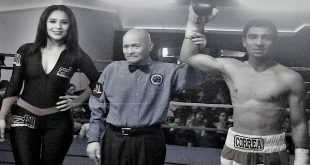 In his last bout, Ibragimov stopped Javier Mora in just 46 seconds on March 10th. A longtime contender known for his charisma and knockout power, Shannon Briggs (48-4-1, 42 KOs) has been a pro since 1992, but amazingly, he’s only 35 years old. A native of the same Brownsville, Brooklyn neighborhood that produced Mike Tyson and Riddick Bowe, Briggs was a can’t miss prospect as he moved up the pro ranks. But after he suffered his first loss to Darroll Wilson in 1996, the bandwagon emptied. Briggs stood the course though, winning his next five fights, including a decision over the legendary George Foreman. 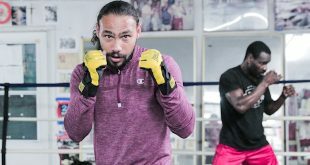 That victory earned him a shot at world champion Lennox Lewis in March of 1998, and even though Briggs was stopped in five rounds, his championship heart earned him a new legion of fans. After a rollercoaster series of fights over the next few years, Briggs did some serious soul searching and began on the road back to the title, winning 12 fights in a row, all by knockout. The capper, of course, was his stirring 12th round TKO win over Sergei Liakhovich last November, and now in 2007, fight fans have not only a charismatic champion at the helm of the division, but a hungry and talented challenger waiting to take that belt away. 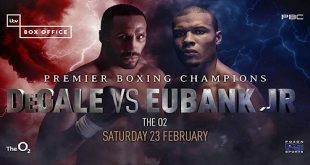 An exciting undercard will be announced at a later date.